In the UK there are over 31 million adults who are at risk of dying without a valid will. This means that one in two adults in the UK have no will provision, this is estimated at nearly 2 in 3 by the National Consumer Council. Over 180,000 people die intestate, which means that at the time of death there was no will in place. What is extremely worrying is the significant problems dying without a will can cause to the people you leave behind. We at Harrison’s Solicitors strongly believe that should be avoided where at all possible. This is why we provide a will writing service in Reading, Caversham, and Woodley. Please contact the offices directly for more information. Why do so many people not have a will in place? At Harrison’s Solicitors, our will writing experts believe that the most common reasons for people not having a will in place is procrastination. We believe that the only way of ensuring that your estate is distributed as you wish is by making a will. Over 25% of those not having a will suggest that they intend to do so later in life. Dying intestate means that your estate will be distributed in the UK solely according to intestacy law, which may not reflect your wishes. What are the other reasons for individuals not making a will? What age group have a will in place? The following table suggests that it is those that are over the age of 55 that have the wisdom to have a will in place. They are three times more likely to have a will than those aged 18-34. What is worrying is that those individuals aged 35-54 age group are the most likely to have dependents and major financial commitments such as mortgages. However, nearly three quarters have yet to take steps to ensure their loved ones inherit their estate as per their wishes. What % of People have a will? Living will – is a statement you can make during your lifetime about the medical treatment you may or may not wish to receive under certain medical circumstances. Estate – the assets that you hold following your death once all your debts and funeral expenses have been paid. 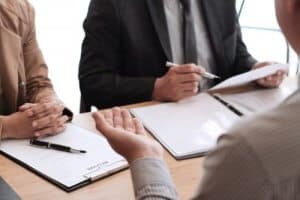 Probate – This is the legal process to which enables the executors of a deceased person to obtain legal authority to deal with the deceased’s assets and distribute their estate. If successful the Probate Registry will give a Grant of Probate to the executors to authorise them to carry out the terms of the will. If there is no will or the will is invalid for some reason the process can become a lot more complicated, time-consuming and expensive. By not making a will, UK Intestacy law will decide how your estate is distributed and this can produce problems to those that you leave behind due to undesirable outcomes. UK law sets a hierarchy on who is responsible for handling your financial affairs after your death. Often this can create problems due to where they live, their age, their health or a change in the relationship between you and them over time. Making a will allows you to ensure how your estate is distributed. You can decide who will benefit from your assets and who is responsible to execute your instructions after your death. By making a will through a qualified solicitor like Harrison’s Solicitors, the chance of a problem or dispute arising after your death is significantly reduced. In most instances, disputes arise when someone dies without a will, as certain people are entitled to apply to the court to challenge the provision made by the intestacy rules. In the UK, for example, with the number of families living in cohabitation, a long-standing unmarried partner would receive nothing under the intestacy rules, so may have to consider making an application to a court to be awarded a share of the estate. There is huge stress and expense attached to these type of claims. It is cheaper, quicker and considerably less stressful to administer an estate where there is a will. If you die without a will in place, it may be necessary for your estate to commission genealogical research to identify any lost or unknown relatives which can be time consuming and expensive. A will can also sometimes be challenged on the basis that it is unjust, the courts are generally more reluctant to interfere in the provision made by a will than that provided for by the intestacy rules. By making a will, you can ensure you make provision for those that need it as well as protecting assets for other beneficiaries. For example, couples who each have children from previous relationships, a trust can be used to ring-fence a part of the estate for those children. 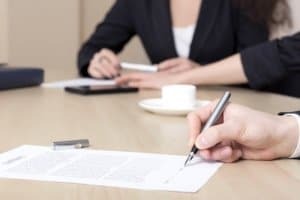 The intestacy rules, however, may result in all the marital assets being passed down to the surviving spouse, with the children of the first spouse getting nothing. This, in effect, produces a lottery, with the prize going to the children of the second spouse to die. Expressing your views clearly can provide a very helpful and practical guidance for those you leave behind. You can nominate someone to act as a guardian for your children if you die whilst your children are minors. You can also state your funeral arrangements in your will so that there are no disputes interpreting your wishes. These are matters that are not commonly discussed within a family, so formally expressing your views is beneficial. By making a will, it enables you to preserve your assets for all beneficiaries. For example, if you have property and/or business interests, you may want those to go to certain people, whilst leaving further assets to others. The intestacy rules provide for a division of your whole estate, if more than one person is due a share, this can necessitate the sale of assets. Ultimately, this can cause problems and uncertainty for your personnel. If you have a business and/or property, it may need to be sold despite it being the home of a particular beneficiary or other dependents. By having a properly drafted trust you could enable someone to manage the inheritance that you leave to a disabled or vulnerable person. This ensures the intended beneficiary does not lose his or her means to benefits. Contact our will writing experts for further information. Our team of solicitors can professionally draft your will for you, or aid you in reviewing your will as it stands.